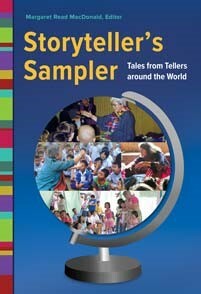 Especially tellable tales... selected from the Libraries Unlimited World Folklore series. Two tales each from Armenia, Australia, Brazil, Croatia, Cuba, Finland, Greece, Guatemala, Haiti, Hmong, India, Indonesia, Japan, Kenya, Korea, Kurdish, Laos, Malaysia, Mexico, Mongolia, Nepal, Netherlands, Philippines, Poland, Russia, Saudi Arabia, Siberia, South America, Thailand, Ukraine. Activities to accompany the tales are included.